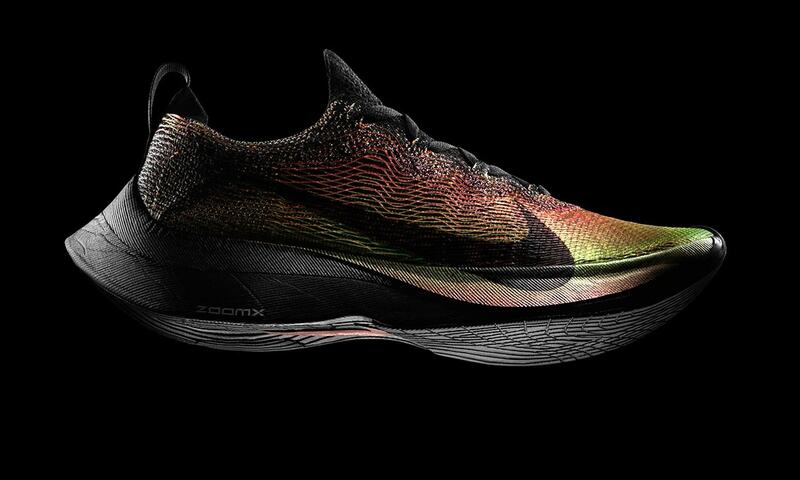 Nike introduces Flyprint, the first 3D-printed textile upper for performance footwear. Nike Flyprint uppers are manufactured by using solid deposition modelling (SDM) with a TPU filament, similar to a regular fused deposition modelling technology. 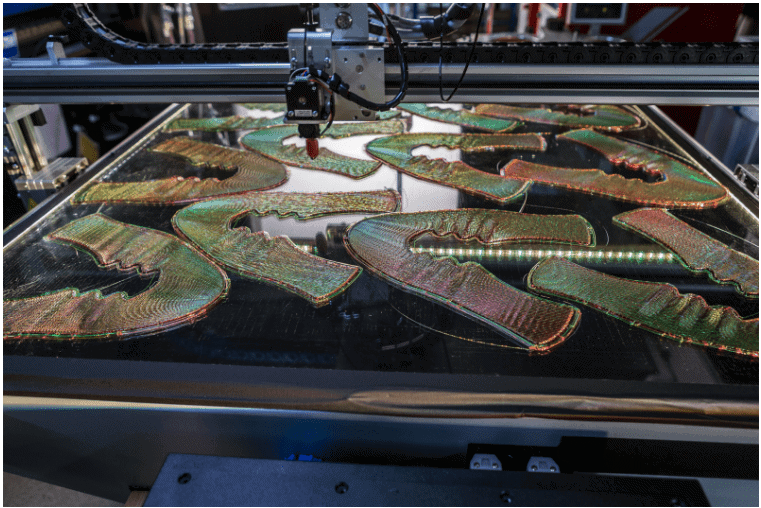 The Nike Flyprint method allows designers to convert the athlete data into textile geometries which are then printed out by a 3D printer. It advances Nike’s efforts in digitally enabled textile development to achieve previously unimaginable performance solutions. 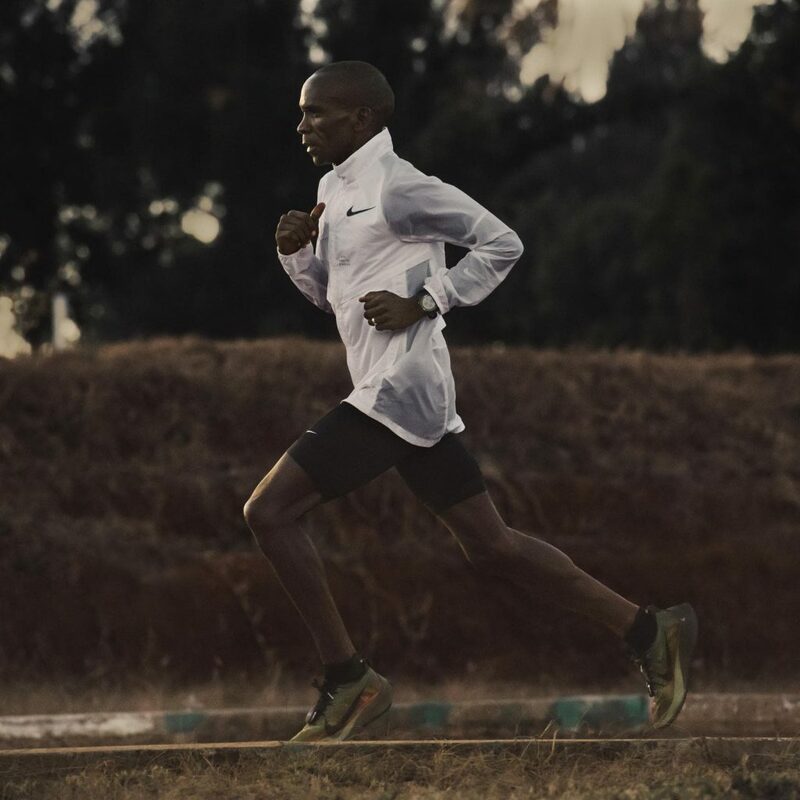 Eliud Kipchoge, the world’s fastest marathoner has played a vital part in helping Nike develop, in Kipchoge’s own words, a “perfect … really perfect” shoe. Eliud Kipchoge ran the Berlin Marathon in 2017 wearing Nike Zoom Vaporfly Elite. But even though the shoes were lighter than the previous shoe used by Kipchoge, they had a problem. Kipchoge ran the Berlin marathon amid heavy rain and 99-percent humidity over the complete course of the marathon. This inspiring performance which saw him bettering his own world record wasn’t enough to crack a sub-to-hour timing he was targeting. 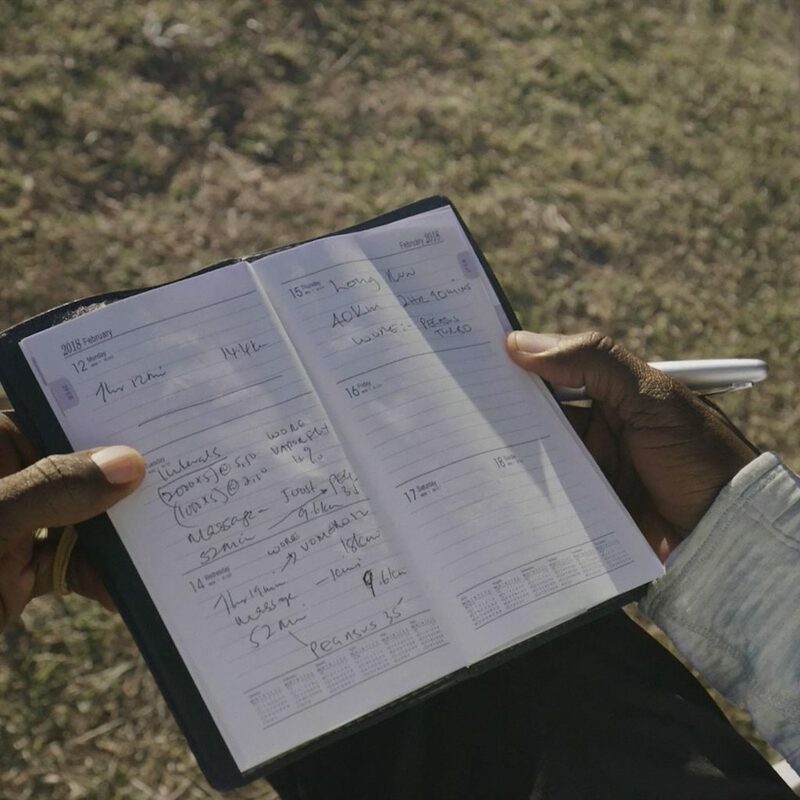 Kipchoge learned that the shoe absorbed water. And more importantly, the water was not able to evaporate which added weight to the shoe. Nike immediately knew this problem has to be resolved if they are to make the ultimate running shoe ever and the problem will only be solved by developing a superior upper. 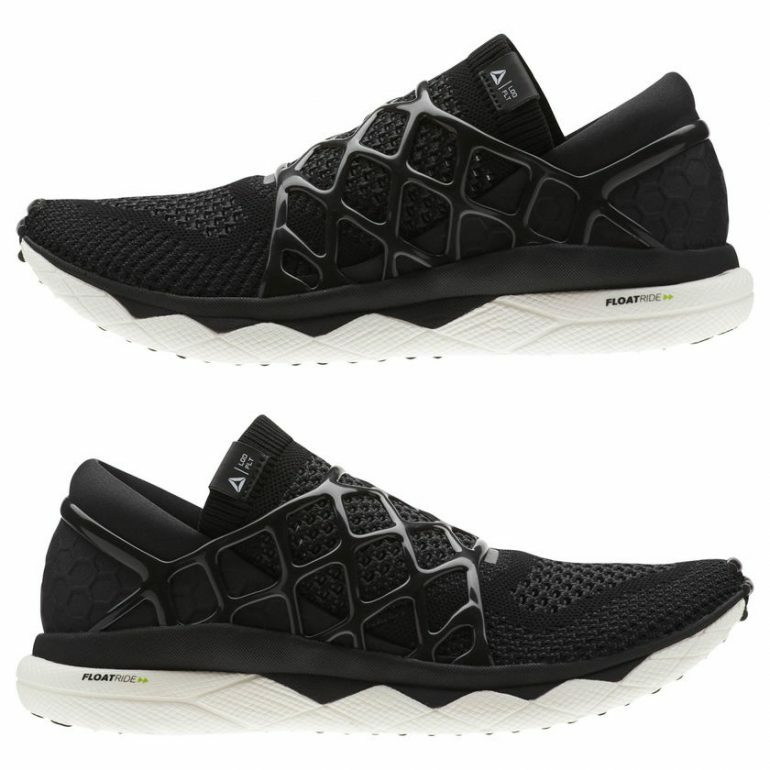 The designers reworked a new application of a performance-printed 3D upper they had been experimenting with. They coined it Nike Flyprint and showed it to Kipchoge. The most dominant marathon running shoe of 2017 was now upgraded with Nike’s new technology and ready to be tested by the fastest marathoner in the world. The tests started in early 2018. Several variants of the upper were tested. Kipchoge made some observations to modify the shoe. These changes were incorporated within hours and the new shoe was printed & delivered to Kipchoge in Kenya within 9 days. Finally, he approved a variant. The new variants are 11grams lighter that what Kipchoge wore in 2017 Berlin marathon and will be wearing the new Nike Flyprint at the upcoming London Marathon on April 22nd, 2018. 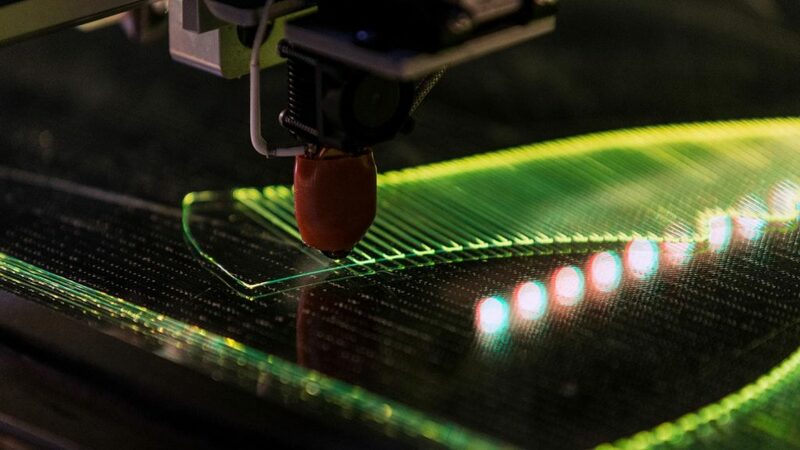 The manufacturing process of Nike Flyprint starts by capturing the athlete data. This data is sent through computational design tools for designing the ideal composition of the material. This information is then utilised to 3D print the upper in a modified or proprietary version (Nike have not divulged the core technology) of an established 3D printing technology. Nike is using Solid Deposition Modelling which seems similar to fused deposition modelling technology trademarked by Stratasys Inc.
By undergoing a rapid-prototyping process since after the 2017 Berlin marathon, the uppers were developed with 3D printing method 16-times faster than any previous manufacturing method. 3D textile increases the dynamism made possible by adding an interconnection beyond a warp and weft. Since the material comes in a fused form the frictional resistance is eliminated and the connections are stronger with added benefits of being lightweight and more breathable. One major advantage of the Nike Flyprint method is that specific lines of material can be adjusted locally wherever required preserving the overall structure. This gives a highest-fidelity design with the greatest athlete benefit in the shortest time. The textile is also compatible with many other Flyknit yarns, thus providing the optimum balance of fit and structure. New yarns can be engineered so stitching and gluing can be eliminated. As Eliud Kipchoge runs the London marathon this Sunday, a limited edition of the Nike Flyprint will be sold in London through the Nike App. The battle for the ultimate 3D printed shoe intensifies as Nike has one-upped its competitors by designing the world’s first upper. While Adidas and Carbon collaborated on the sole, New Balance is using runner’s biomechanical data to create customizable spike plates. Reebok has released the Liquid Floatride Run shoes which uses a 3D drawing technology, where a single layer of material is deposited and dried to form shiny laces. HP recently announced that all the teams from HFL will receive customised 3D printed cleat shoes by using 3D scans from players. Several other companies are using in-store 3D scans of customer’s feet to 3D print customised insoles. 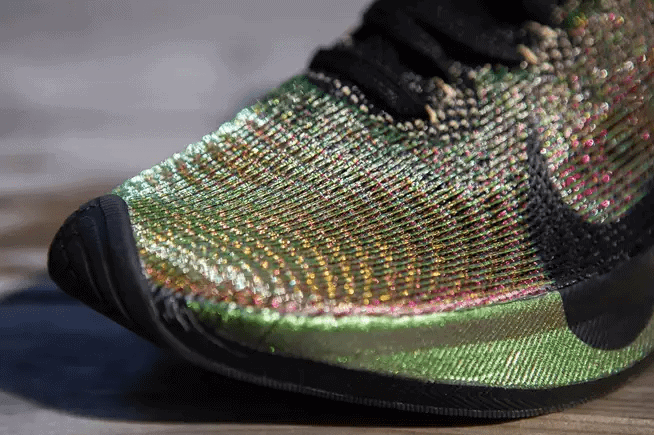 The market is gearing up for 3D printed shoes but the competition only heralds the era of Mass Customisation powered by the additive manufacturing technology.